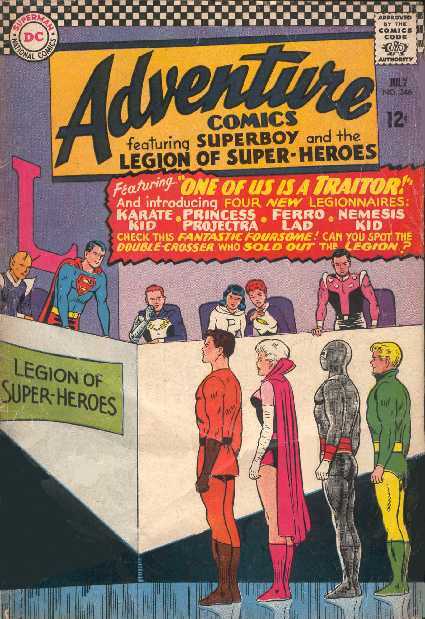 ADVENTURE COMICS NO.346 (July 1966) Cover by Curt Swan & George Klein. "One of Us is a Traitor" Part I by Jim Shooter & Shelldom Moldoff. "Invasion from the Edge of Space" Part II by Jim Shooter & Shelldom Moldoff.